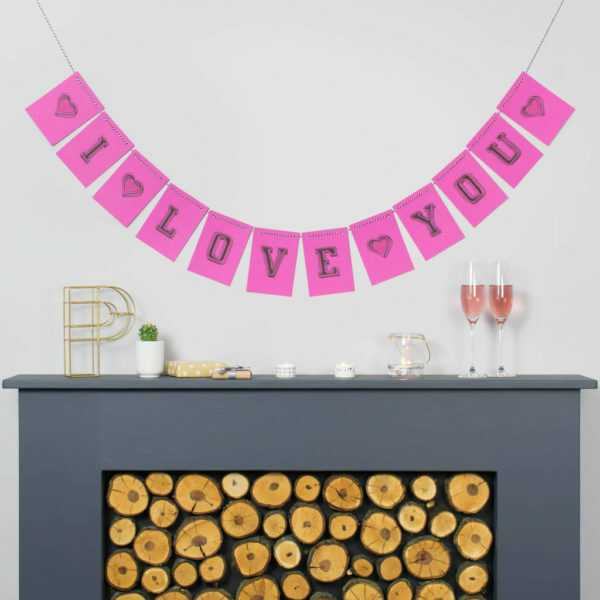 Personalised Bright Pink Valentine’s bunting – fabulous personalised bunting, say it in your own words, in style. Personalised Bright Pink Valentine’s bunting – Got something to say this Valentine’s day? Problem solved! 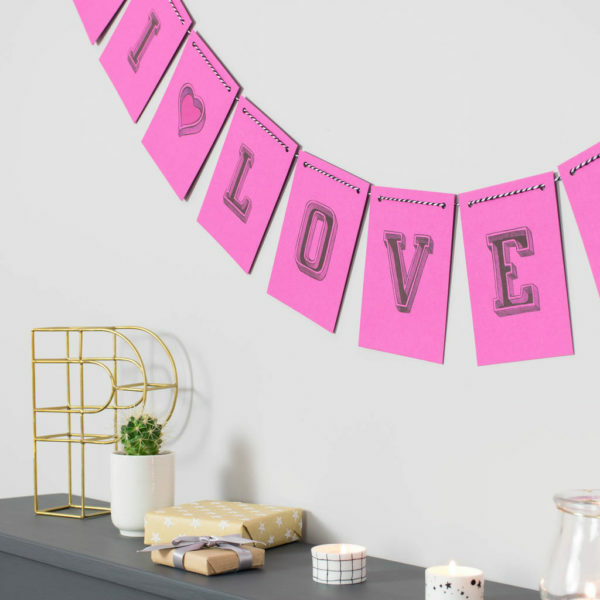 This bunting can be personalised to read your own message, however long or short. To order, just tell us what message you’d like, which string you would like and leave the rest to us. It comes ready strung, ready to hang. Supplied with 5 metres of string. We will place a heart or star at each end and in between each word, you choose, heart or star. Can be personalised with your own message, and choose from a choice of strings. We have other bunting available in our shop.